Dig It<sup></sup> Handwear is an innovative utility/garden glove with a patent pillow-topped protector. Sewn into the inside of each finger, Dig It Handwear provides the ultimate protector for DIY projects, yardwork, sports and gardening. The breathable, washable, recycled fabric can be easily laundered and Dig It Handwear ensures comfort with its' fitted design. Available in 4 sizes...Dig It gives you the freedom to "dig deep". Fashion and function are combined in this glove. The mesh back allows increased breathability, while the 4-way spandex increases dexterity. The addition of a terry cloth material is convenient for wiping perspiration and dirt while you work in the garden. The women's full grain cowhide glove is naturally durable breathable and abrasion resistant. It is comfortable enough for all day wear and the keystone thumb design offers great dexterity and a snug fit! 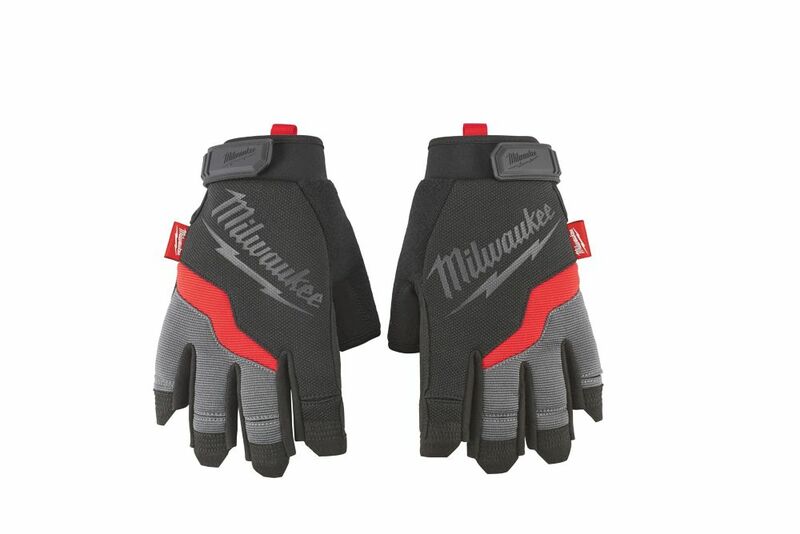 Medium Fingerless Work Gloves Milwaukee Performance Fingerless Work Gloves are designed to provide Ultimate Durability and All Day Comfort. Featuring reinforced and padded palms for increased durability and cushioning, Milwaukee Work Gloves will provide best-in-class durability for the most demanding tasks. The fingerless design provides ultimate dexterity when handling small objects and the hook and loop closure ensures a secure fit. In addition, a breathable lining and built-in terry cloth sweat wipe ensure the gloves remain comfortable enough to wear all day. Medium Fingerless Work Gloves is rated 5.0 out of 5 by 4. Rated 5 out of 5 by Jackie from Good gloves I usually buy the gorilla grip gloves in a size large but when I saw that milwaukee came out with these fingerless gloves and decided to give them a try. For the work I do as an electrician apprentice these gloves do the job. When I had the gorilla gloves they would be destroyed after 6 months, these milwaukee gloves come extra stitched and thickness which makes them last longer. I've had them for two months now and haven't seen much wear and tear. Rated 5 out of 5 by JR from Good gloves, helps tremendously with dexterity, able to handle nuts and bolts easily. Good gloves, helps tremendously with dexterity, able to handle nuts and bolts easily.